Why F500 Sales Use B2B Magazine Cover Wrap Campaigns – It's simple. 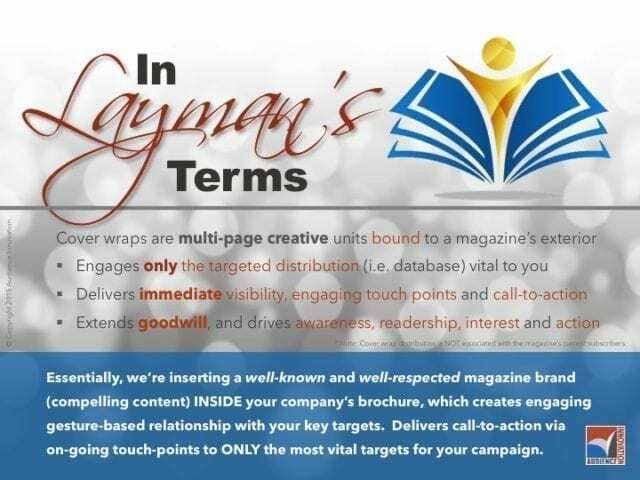 The reason our clients use our B2B magazine cover wrap campaigns is simple: it works. Maybe oddly, yes, but campaign results measured against any exact target is producing direct impact and measured response, and the numbers are FAR-BETTER than other options. I’ll show you direct client example results, closest to your target and industry, to prove the point. It’s maybe counter-intuitive, but just consider, most customers have NOT abandoned other media instead of a 100% digital existence. Sure, maybe a few, but it’s proven over and over again, that direct in-hand touch points of value DO increase customer/sales relationships, both retention and acquisition. These statements are proven for 25+ years now, and it’s even more proven today. People ask how, and why? … it’s almost perplexing to some, at least those who’ve never used these campaigns yet. And now, with interactive added too (i.e. NFC devices) plus, the ability to bulk order extra distribution for trade shows/events, the impact these campaigns engage to support and augment a company’s sales force is immense, and the benefit list goes on. So many examples of B2B success. To share just a bit, campaigns are delivered either direct-to-recipient (i.e. target, in-office or in-home), or direct-to-location (i.e. physician’s offices, dentists, nail salons, barber shops, over 200 location types in our proprietary database). 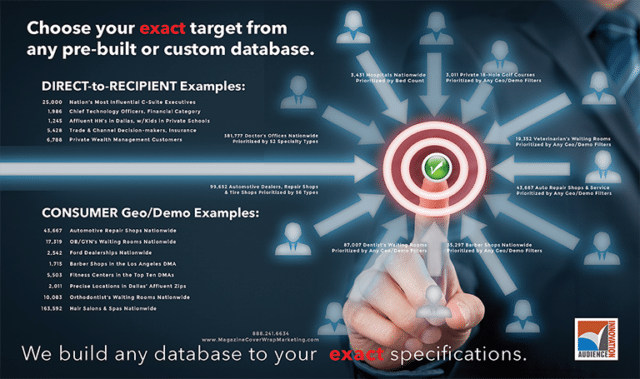 And for recipient direct targets, like B2B and AFFLUENT, it’s all and entirely about the database. For clients who have a database, that’s productive good news, and for those who only have a partial database, or no database, we do the backend work to develop and/or clean your database too. Another candid topic, actually two of them: a) you’re elevating your brand with the magazine’s brand name too, which adds significant lift, and readership, with confidence, and b) your message is on the entire front cover, and either a 4-page or 6-page cover wrap – it’s essentially your ‘brochure’ in a cover wrap format. Thus, it’s 100% YOUR content, and oh so bold, yet also very touching even engaging, and very warmly received too. Our client’s longevity is testament to campaign success, many with us nearly 10 years, and others 5+, 7+, 3+ … and even new clients are a bit astonished how well these campaigns work, even better today. Statistics now are 30%+ higher than last year, for both CTA and ROI, and we have more technology clients engaging these campaigns now than ever before. So, the question is why? It’s a simple answer. Online only will always fall flat. Online is amazing, when it’s cultivated along with a layered platform of media. In other words, there are some (a few) products that online-only will work. And, in the meantime, there are the majority of the rest that MUST engage multi-layered strategy to engage your targets, at least your sweet spots. 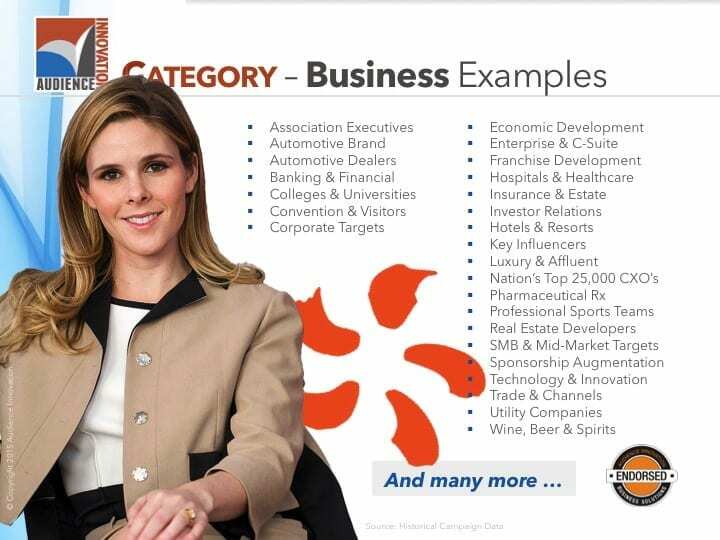 Our sweet spots are: B2B, PHARMA, AFFLUENT and RETAIL – which is where we have exceptional results across numerous categories within the categories. The campaigns may seem complicated, but they’re not, and we do it all for our clients any way, including messaging best-practices, for the smartest yield. The simplicity we deliver assists all partners, including both client and/or agency, and the content/magazine partner. In today’s world, turnkey is paramount, and efficient results is also mandatory. With NFC interactive devices now, and embedded video, and any number of other engaging CTA tactics, magazine cover wrap campaigns should be considered inside nearly every marketing, media and/or sales plan. Yes, I’m biased, and … I’ve been cultivating these campaigns for 25 years, and we know how to do it right, and effective, and deliver results. If the target isn’t correct, we let the client/agency know immediately, as we don’t want to carry business that won’t deliver similar results. It’s a win-win plan, so there’s never a losing campaign initialized. CONCLUSION: Maybe oddly, yet … our magazine cover wrap campaigns are producing exceptional measured results, more so than ever before. And now, we’re layering with online retargeting (your exact same audience), plus … our new NFC ‘tap-to-digital’ interactive devices: there’s really nothing that’s more effective. And, this is proven over and over again with client targets in: B2B, AFFLUENT, PHARMA and RETAIL categories. Start with as few as only 500-1000 targets, we will build you a sales+marketing hyper-targeted campaign that works. If you have further questions, or targets you’d like to discuss, please feel free to reach out any time. You can visit our website at www.audienceinnovation.com, or you can email me direct any time, or call – [email protected], 888.241.6634,719.